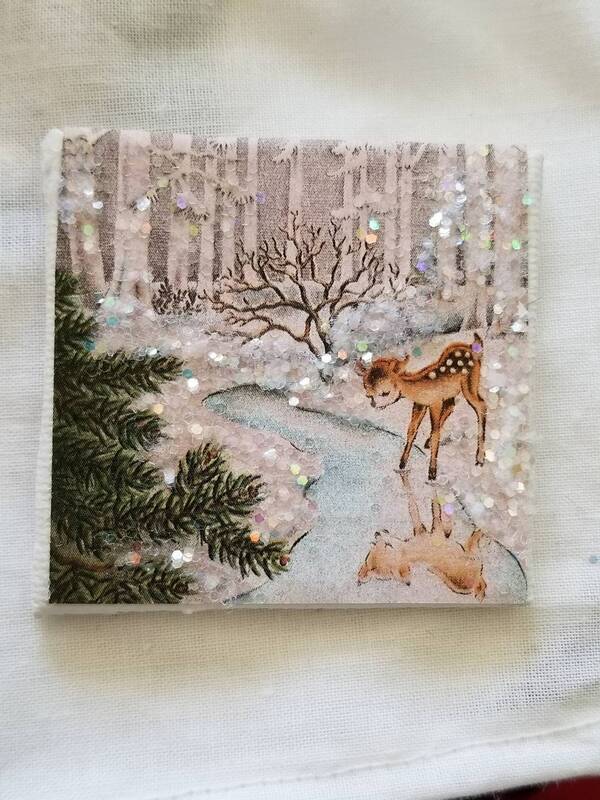 Winter Snowy Vintage Deer scene is a wonderful scene. 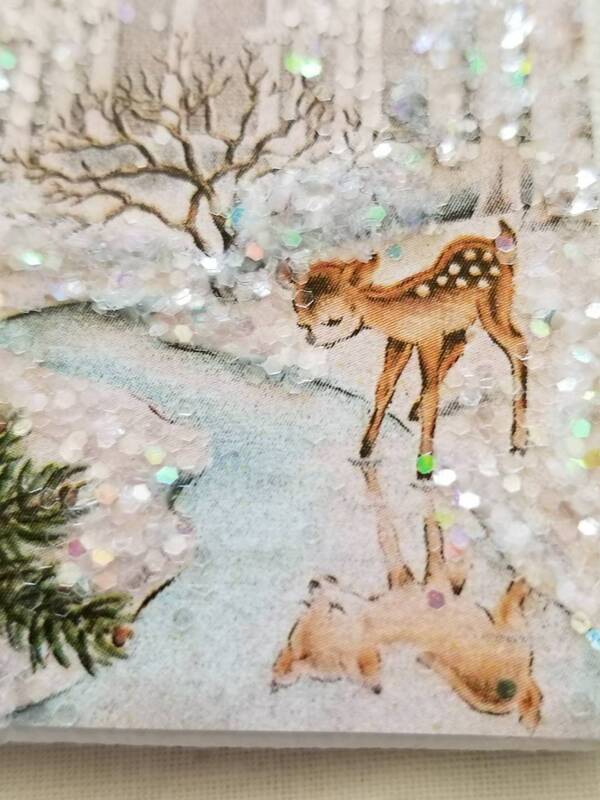 The young fawn is drinking water from a creek. Surrounded by snow and trees. 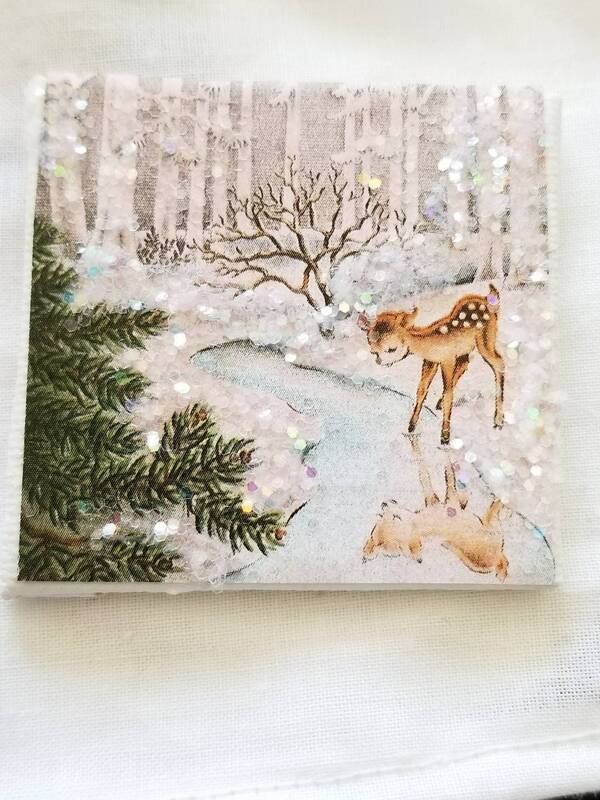 Beautifuk for a small winter scene, vignette or used in a dollhouse room. I've adhered the design to a small artist canvas. 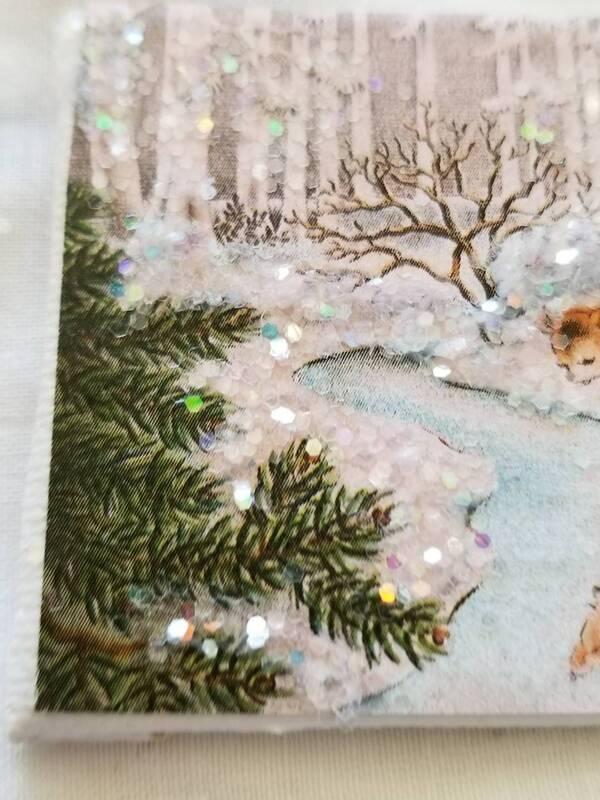 The snow areas are embellished with snow glitter. 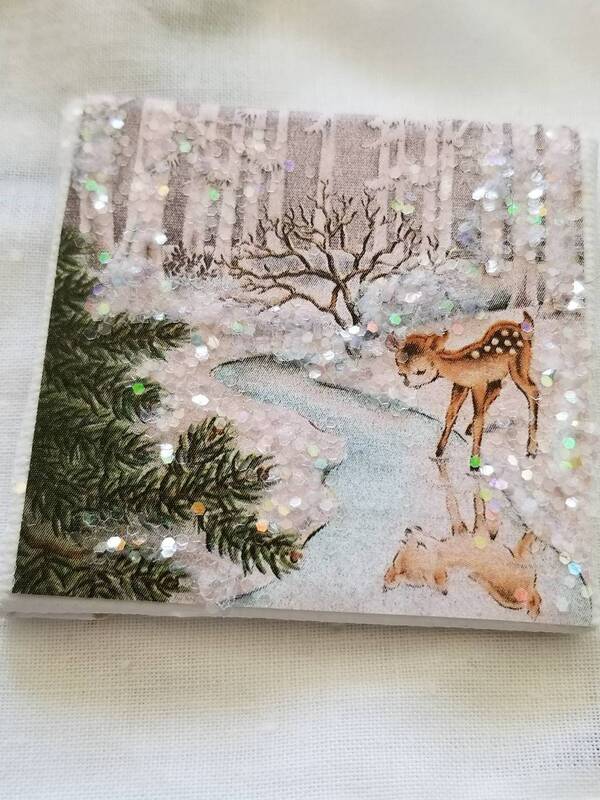 Artist canvas measures 2" x 2"